Liverpool will depart for Paris today firmly aiming to pick up three points in Champions League Group C and book a place in the final 16 of the tournament in the process, Virgil van Dijk has insisted. The Reds take on Paris Saint-Germain at the Parc des Princes on Wednesday night knowing a victory could see them through to the next stage of the competition with a game to spare and eliminate Thomas Tuchel’s side. A draw between the teams would take it down to the final matchday - when Jürgen Klopp’s men host Napoli at Anfield and PSG travel to Red Star Belgrade - to determine the final standings. Nevertheless, Liverpool aren’t aiming for anything else other than a win in France, according to Van Dijk. The No.4 told Liverpoolfc.com: “We want to win in Paris. We’re not going to go there for a draw; we’re not going there for anything else other than trying to produce a good performance and trying to win the game. “It’s going to be unbelievably tough because they are still unbeaten in the league and haven’t lost at home for a long time. “I think personally we need to play our own game, try to put them under pressure and stop them from doing what they’re good at, which is playing football. We will see what happens on the night. “It’s going to be a fantastic game with fantastic players all over the pitch. I am looking forward to it. These are the games you want to play in - you don’t want to be sitting at home watching them, you want to be playing in them. We have the chance to show that on Wednesday night. “It’s the highest level in Europe. It’s something special. With the fans, it’s something you want to be part of - and you want to hopefully win it as well. Heading into the showdown, PSG have injury doubts concerning two of their attacking talents in Neymar and Kylian Mbappe, both of whom sustained knocks while on international duty for their respective countries last week. 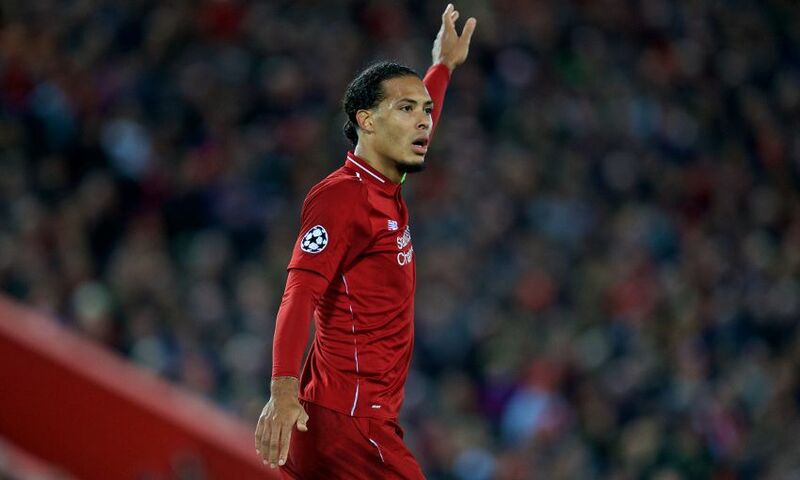 However, Van Dijk points to the fact the French champions have an array of other top-class forwards at their disposal as reason for not becoming too concerned with news of the pair’s fitness. “They have plenty of good players throughout their squad,” he said. “We will see if they play. They are obviously quality players and we need to respect that, but they still have other fantastic players to cover them. Neymar and Mbappe both started for PSG when Liverpool recorded a 3-2 victory over them at Anfield on matchday one. The Reds initially led by two goals on Merseyside, but required Roberto Firmino’s last-gasp strike to ultimately decide the outcome of the contest. Just rewards for their performance, Van Dijk feels. “I was obviously very happy in the end that we got the winner,” he recalled. “To have drawn would have been a bit of a sore moment. After four games in Group C, Liverpool have amassed six points and sit level with Napoli, while PSG are one behind on five. While Les Parisiens and Red Star have been vanquished on home soil, the Reds have suffered losses on the road in Naples and Belgrade. There’s a need then, according to Van Dijk, to demonstrate valuable lessons have been learned when they take to the field in Paris. “We played poorly against Napoli and against Red Star, we conceded the first goal and that was the key of the whole game I think,” he stated. “If we’d scored our first chance, then it could have been totally different. “But credit to them. Their fans went crazy after [they scored] and it helped them - with every tackle they won, they were cheering. It was something they did well that night and we weren’t at our best.